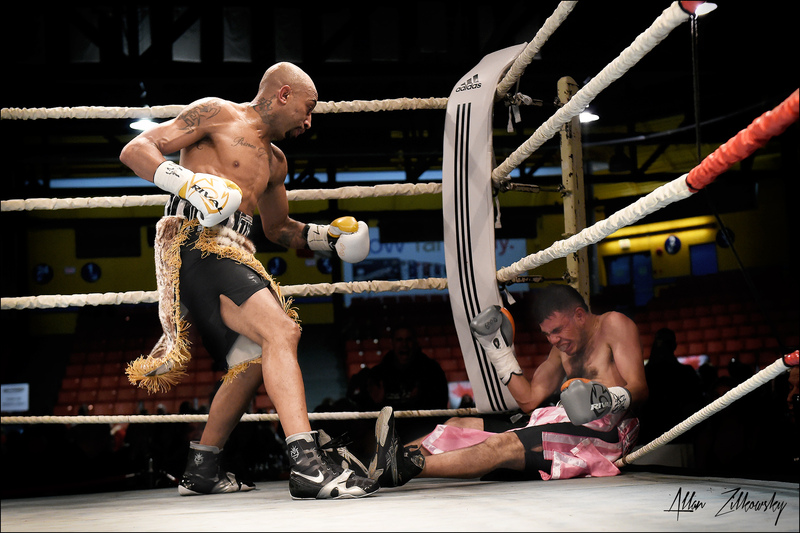 Dartmouth, Nova Scotia – Sunday 29th November 2015 -- In front of a big crowd at the Dartmouth Sportsplex in Dartmouth, Nova Scotia, local hero Tyson Cave secured the World Boxing Union (WBU) Super Bantamweight World Championship with a sensational second round knockout of tough late replacement Walter Rojas (24 wins 23 by way of KO and 7 losses). Cave showcased his exceptional boxing and defensive skills against the big punching Argentinian throughout the first round, dancing around the ever forward coming Rojas before picking the Argentinian off with some sharp shots. Early in the second Cave landed a pin point accurate shot to send Rojas to the canvas. 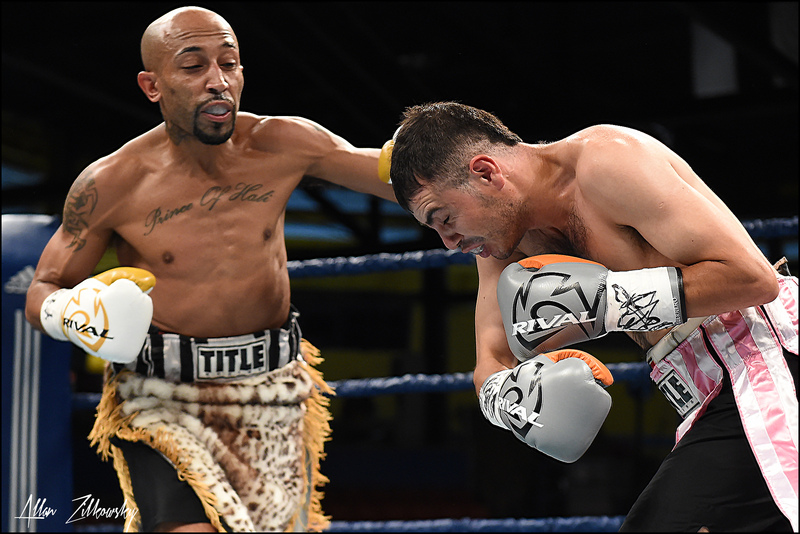 Right from the restart Rojas went hard and fast on the attack once more, Cave’s exceptional ring craft enabled the Halifax born and bred fighter to avoid some seriously fast big rights, then as before Cave landed another pinpoint accurate shot to send Rojas to the canvas for a second time. On the restart this time it was Cave that went in hard and fast, landing a massive shot to the temple of the Argentinian that sent him down and through the ropes. Rojas tried desperately to get to his feet, but didn’t have enough coordination to pull himself up using the ropes, as Referee Hubert Earl’s count was coming to a conclusion, Rojas collapsed so the highly experienced Earl waived the bout of so that the distressed Argentinian could receive medical assistance on the one minute and fifty second mark. Following the announcement and Championship belt presentation the newly crowned Champ said. “Listen I want to thank the WBU for making my dreams come true, I want to thank Rio (WBU Europe President Gianluca Di Caro) and his organization for making this happen. I must thanks my team, my father and Tony Makhoul of TMG Entertainment for being there for me and making this happen. Walter is a true warrior, he stood in at that last minute after Jesus Rios didn’t get his visa, he was ready to go, no hesitation he took the fight and came to save the show, a true warrior. I think I proved I have the skills to get anybody out of there, thank you, thank you, thank you. I’m no longer the Prince of Hali, hey listen up I’m no longer the Prince of Hali, my new name is KING CAVE.